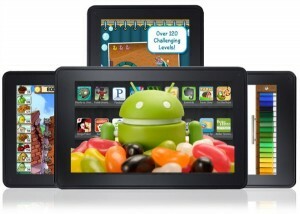 Amazon made a pretty huge impression on the Android tablet market when they announced the Kindle Fire. Competitors had to either drop their prices or drop out of the competition. Barely functional budget tablets were rushed out to compete unsuccessfully against the biggest thing Android had seen. Worst of all, Google was completely cut out of the fun by a carefully customized OS fork that locked Kindle Fire users into the Amazon ecosystem and out of Google’s Android Marketplace. Rumors started to surface almost immediately that Google had a tablet of their own on the way that would blow the Kindle Fire away. Unfortunately, the complications resulting from the need to keep the price at $199 or below meant that the project was delayed for a while. Finally, after months of waiting and hearing leaked details about the worst kept secret in Google’s arsenal, we have the big reveal. Basically we’re looking at a tablet that is more than a match for the Kindle Fire in terms of hardware. It is faster, has more memory, can do things like video chat, has an HD display, and so on. For the same price as the Kindle Fire, you get a huge upgrade. Not only that, it looks great too. While the base model will have 8GB of storage and cost $199, there is even a 16GB edition available for $249. Amazon couldn’t have asked for a worse comparison, in other words. Normally this would be where I once again talk about Amazon having the advantage thanks to their integration with their internal Appstore for Android and other assorted forms of digital media. In this case, Google knows what they are doing and seems to have developed a similar level of access to their various media options through the Google Play store. Not many companies could compete near Amazon’s level in this respect, but Google is definitely one of them. The big hope that Amazon has to turn this around will obviously be the upcoming Kindle Fire 2. This tablet, expected to be announced as early as the end of July, will bring additional power and improved resolution to the Fire. We don’t know much more than that, but some people are even predicting similar camera and mic options. The existing Kindle Fire will then supposedly drop to $149. While it would remain less useful than the Nexus 7 in that case, reducing the price by another 25% would almost certainly be enough to keep things competitive. 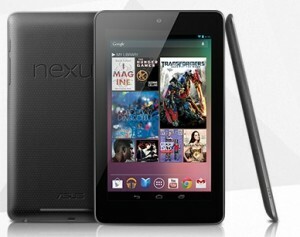 For now, Google’s Nexus 7 is on top. It will be shipping in 2-3 weeks, according to the preorder page, and at the moment comes with $25 in store credit on Google Play. Whether it can gain enough of a following to offset the likely surge of interest in the new Kindle Fire 2 following only a month or so behind will be interesting to discover.